The Staunton CUSD #6 Board of Education will hold its' regular meeting on Monday, November 19,2018 at 7:00 p.m. in the Unit Library. 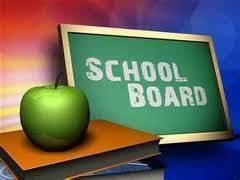 The Board will discuss the annual school report card and will review the annual tax levy prior to final approval in December. The Board will act on a quote to upgrade auditorium lighting and will consider bids for interior/exterior lock replacement. Continued discussion will be held on a possible interscholastic athletic cooperative agreement with Mt. Olive High School for IHSA Football. To learn more about these items and more you may view the agenda, agenda notes, and supplemental documents via the District website.